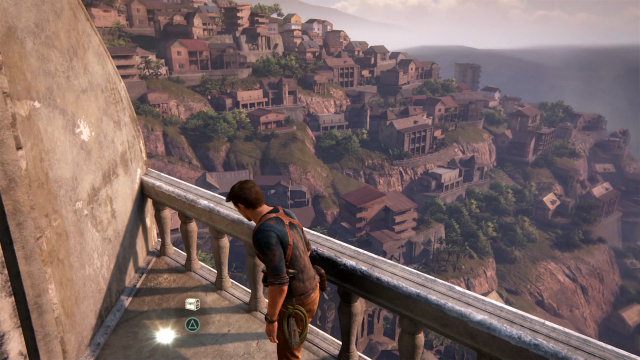 Since the series’ inception, Uncharted has always had a strong focus on bringing together elements of other games, while adding a bit of its own flavor to them. 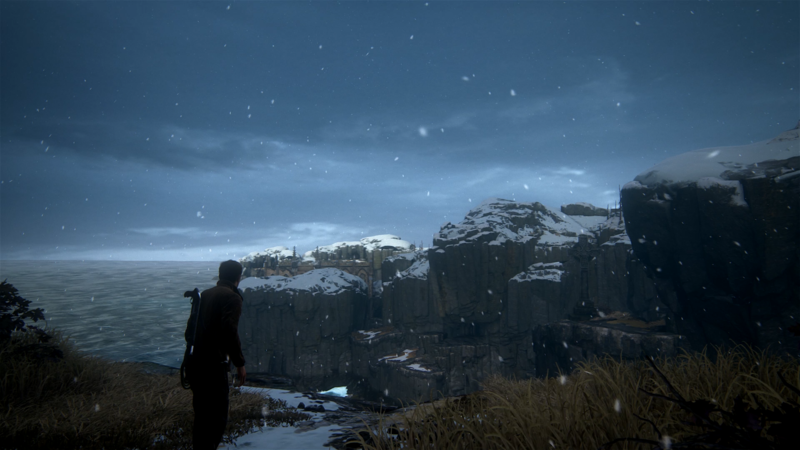 Uncharted 4: A Thief’s End keeps up this formula, but instead of staying toward a linear level design, Naughty Dog borrows heavily from their other popular game: The Last of Us by opening levels up. 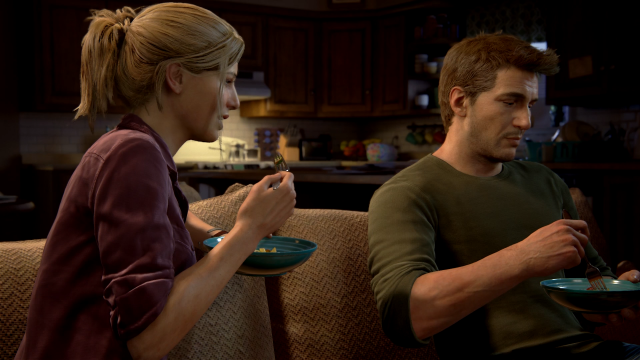 The success of The Last of Us has changed Uncharted in a colossal way. This isn’t the Uncharted of old, and that’s not a bad thing either. Uncharted 4 is far more open, far more emotional, and far more personal than previous entries. While inherently a third-person shooter, the Uncharted franchise has always had its fair share of platforming and general adventuring. 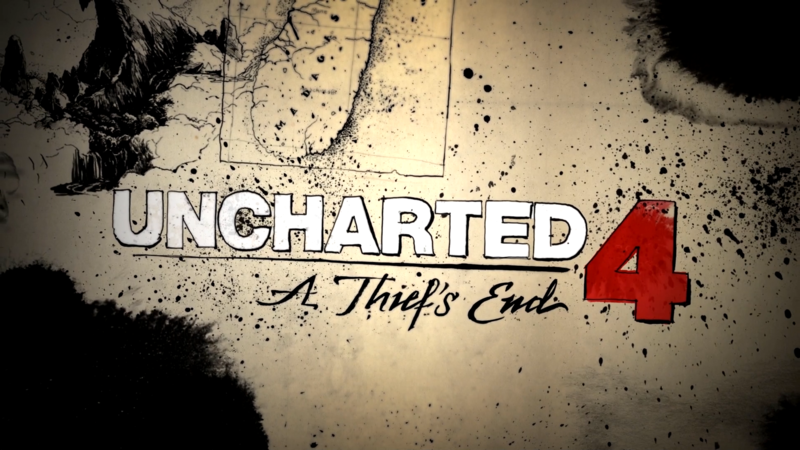 As the series progressed, Naughty Dog began to open levels up more. With Uncharted 4 turning the series on its head and completely redefining what Uncharted is, this approach is none the more apparent here. Platforming and exploration are at the forefront of Uncharted 4. Gone are the small, corridor-esque levels. Now, players explore open levels, with tons of collectibles ranging from journal entries to the familiar treasures to nab along the way. Combat is now on the backburner, being focused on less, but far more polished than in previous Uncharted entries. Uncharted 4 is a lot more grounded than previous Uncharted games. Nathan Drake is a family man now, with responsibilities, a job, home, and most importantly, bills to pay…I assume. The bottom line is this: the adventures are over and Drake’s left that life behind. In this regard, I found it interesting just how long Naughty Dog chose to expose us to the mundane elements of life, something that too many of us are all too familiar with. Getting to experience just a bit of Drake’s new life helped develop the character, cement his new outlook on life, his actions throughout the game, and the length that he’ll go to save his brother’s skin. Oh right, Drake now has a brother named Sam. This thought-to-be-dead brother is the catalyst that restarts Drake’s dangerous, adventuring life. Sam is a pretty decent character. At first, I wasn’t sure if I would like him, but as the game progressed, and I got to spend more time with the character, I realized that Troy Baker and Nolan North as Sam and Drake respectively really sold the whole brotherly angle of the game. The way they almost effortlessly pick up where they left off the last time they saw each other made Sam feel more like another piece of the Uncharted family, rather than a whole new character. The jokes Baker and North play off one another made me feel like I was actually interacting with Sam myself, rather than through Nathan Drake. Sadly, I can’t say the same about the villains. I would love to rave about how great they were and how Uncharted 4 had the best villains in the series, but I can’t. I’ve struggled with articulating just what was wrong with them and it comes down to one thing: Rafe. Rafe is a villain driven by a desire to prove that he’s more than his money, but that’s all he really has going for him. I liked the character because he has a connection to Nate and Sam, but beyond that, there isn’t much else to him. There’s also Rafe’s hired help, Nadine. She’s entirely forgettable. 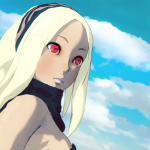 She’s strong, yes, and could possibly hold the game better than Rafe, but alongside Rafe, she’s all-too-forgettable. You don’t need to play the other Uncharted games to understand the events of this one, but it would help some. Veterans of the series will appreciate the callbacks made to Nate’s other adventures and to a certain degree, why he went into retirement in the first place. You’ll appreciate the game more if you played the other titles, but again those elements are small so it’s not entirely necessary. The level design is no longer linear with small paths offered to the player between their travels from point A to point B. Levels in Uncharted 4 are far more open, offering different points of attack and collectibles throughout. 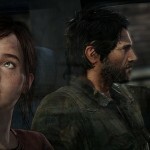 If you’ve played The Last of Us, you’ll have a general idea of what to expect. While there’s still a clear path from destination to destination, the opportunities along this path have been broadened tenfold. 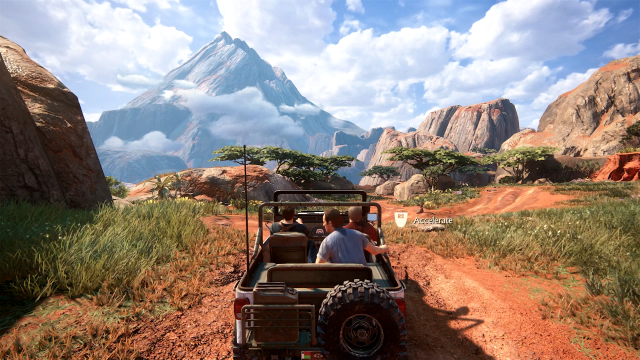 Players are encouraged to explore the world Naughty Dog has created for the series’ swan song. You’ll want to journey off the beaten path and look at every square inch of this very large world. Some of this exploration is facilitated by the introduction of a new jeep that lets you traverse the sweltering heat of Madagascar. The jeep controls relatively well, although it does tend to slip and slide a lot. With subtlety playing a key role in Uncharted 4’s design, the battles have been revamped. In fact, a good portion of the first half of the game sees the player go without shooting an actual gun once. This is spent mostly fleshing out Drake’s home life and introducing some of the game’s new mechanics to the player. 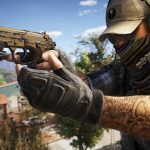 Mechanics such as the rope swing, targeting, and more dynamic stealth kills. These new additions make the battles in Uncharted 4 more exciting. The player is given so many options to tackle combat scenarios that thinking is now important in an Uncharted game. 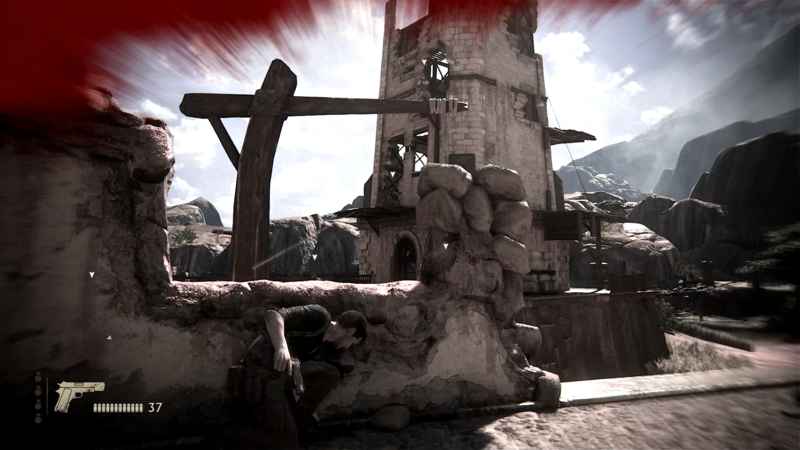 Starting with Uncharted 2, Naughty Dog began to edge the player toward a more stealthy approach. Yeah, you could go in guns blazing, but due to the dense amount of enemies, that wasn’t always the best option. 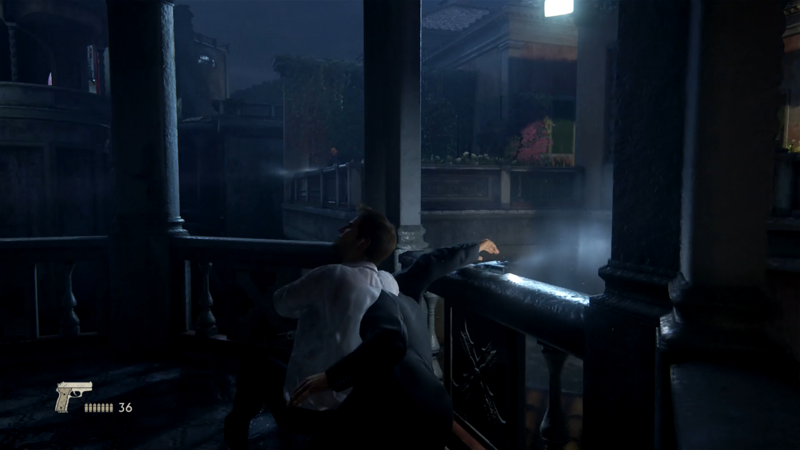 In Uncharted 4, stealth is at the forefront of combat, allowing the player to easily use tall grass to get the drop on enemies. That said, doing so can still be difficult on the harder difficulties. On my first playthrough, I went through the game on hard and found myself struggling to stealth my way through various encounters. My setup was just about perfect: I would grab someone from cover, or lob a grenade one way to divert attention away from me for a quick few kills. However, there was always one unforeseen variable that prevented me from escaping unharmed. Sometimes this would be an enemy I hadn’t seen, while other times, I simply wasn’t quick enough. In moments like this, it wasn’t long before the rest of the crew was on me like white on rice. Thankfully, keeping track of enemies is far easier than before. Taking a cue from Metal Gear Solid V’s book, Uncharted 4 allows the player to spot enemies by pressing L3. This places a white marker over the enemy’s head so you’re constantly aware of their position when you’re trying to be Mr. Sneaky Sneaky. 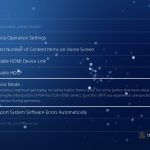 The spotting mechanic helps facilitate the “anything goes” approach that Uncharted 4 has going on. Whether you’re being stealthy or trying to be the next Rambo, throwing a tracker above an enemy and keeping an eye on his position can be quite useful in a pinch. Interestingly enough, one of the things that help drive the “anything goes” approach to Uncharted 4’s combat are the enemy animations and improved AI. In one instance, I was hiding in the bushes, surveying my current situation. I had a few dozen enemies in front of me, so I marked each as I saw them before taking action. When I was ready, I moved to a side of the map and lobbed a grenade far over their heads, enough to act as a distraction. As I thought, the grenade blew up, and everyone turned their attention that way, granting me enough time to rise from my grassy haven and pounce on an enemy. Because I wasn’t paying quite enough attention, I alerted an enemy just behind the guy whose lifeless body I was standing over. As fast as I could, I whirled around and pistol-whipped him in the head, unfortunately, it wasn’t fast enough. Before my pistol connected, he had already let out a cry for help, alerting the others who had gone off to check on the noise my grenade had made. At that point, I took an offensive, yet still tactical approach. Now, my objective wasn’t solely on survival or stealth, but rather on carefully aiming my shots at key points on the enemies’ bodies. 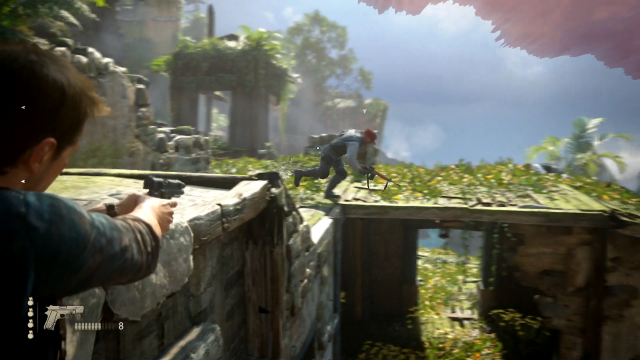 With Uncharted 4, enemies react differently depending on where you shoot them. Sink a few bullets into their legs, for instance, and they’ll stumble back, free arm flailing while they try to train their gun back on your agile body . This small window of opportunity oftentimes gave me a chance to shoot them in the chest and take them out. Enemies might still take a few bullets to the chest to take out, but they’re no longer exactly “bullet sponges.” With a few well-placed bullets, taking out a single enemy isn’t that hard. That said, combat scenarios where there are a lot of people before you are still challenging, as they should be. Because of this, going in guns blazing might not be the best tactic, even when you’re spotted by someone. Uncharted 4 allows you to de-escalate an encounter if you’re quick enough to break the line of sight between an enemy and yourself by hiding in cover. Sadly, you can’t retreat back into the grass when an encounter begins. In cases like this, you have to wait until enemies can’t find you, then when they go back to patrolling their posts, you can revert to a stealthy approach. 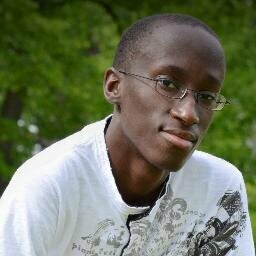 Like the companions in all the other games, Sam will help the player in battle. This means team melee attacks, helping you get out of a choke hold, getting your back sometimes, and so on. The buddy AI is certainly better than before, but just like The Last of Us, the immersion of stealth sections are broken by the AI. There will be parts where you’re sneaking around in the tall grass like a lion stalking its prey, meanwhile, Sam will run around briefly and enemies will pretend like he doesn’t exist. Something else to note is the amount of combat in Uncharted 4. 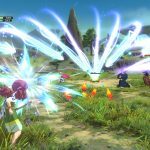 While yes, it does begin to pick up a bit as you approach the game’s conclusion, it never quite reaches the amount of enemy encounters as previous games. It seems Naughty Dog really thought about this when developing the game. Now that Uncharted is more story focused, combat kind of takes a back seat. You’ll exchange blows with enemies less often, but this direction makes those inevitable firefights far more exhilarating and rewarding. Speaking of rewarding, I can’t go without mentioning the set pieces. Since Uncharted 2, they’ve undoubtedly been a highlight of the series. They’re back and for the most part, better than before. I say for the most part, because while Uncharted 4 alone has some phenomenal set pieces set in different regions of the world, I don’t think I’d go as far as to claim they’re better than Uncharted 2’s. Still, though, sliding through the mud and picking off enemies on motorcycles or running through a collapsing cave is loads of fun. But enough about the combat, because it’s time to talk about what really makes this Uncharted so special and so unique in the franchise: the world. 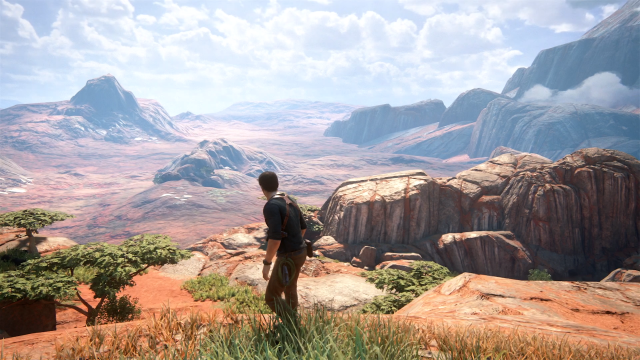 There’s an actual world to Uncharted 4. Yes, that might seem like a weird statement to make, but just stay with me for one moment. The open levels and less combat allow the player to breathe and spend more time taking in this world, something that by comparison, you didn’t do much in any other Uncharted game. This means, while the path from point A to point B is linear, there are an infinite amount of opportunities to wander off the beaten path and explore the road not taken. This game doesn’t push you to do so, as much as it encourages you to. You’ll want to stop and smell the roses because of how lush and beautiful they are; break off a conversation because of a sneaking suspicion that there might be treasure nearby, or even just sit back and snap a few pictures in photo mode. Everything about Uncharted 4’s varied locales screams time and effort. The sweltering heat of the Madagascar, the breezy cliffsides of Scotland, and the sunny, paradise that’s a cluster of islands are few of the areas in the game. 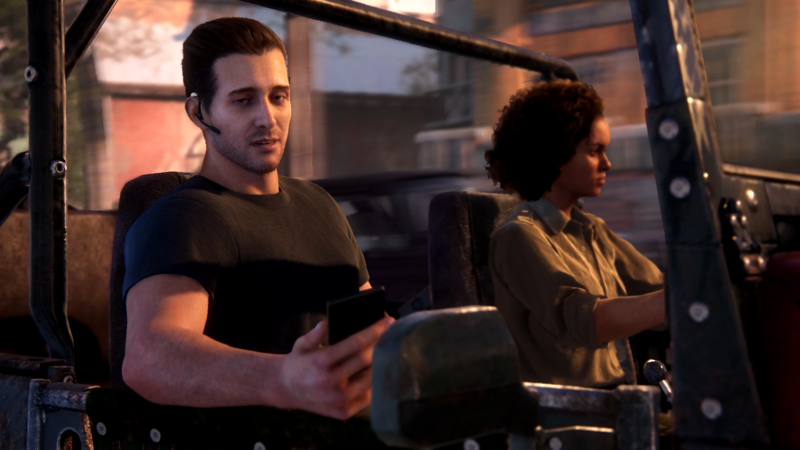 This is an Uncharted game that’s meant to be taken slowly and really combed through, lest you miss something and there’s actually quite a bit you can miss. As I just said, you could miss a treasure or a journal entry. 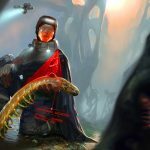 These journal entries aren’t pertinent to understanding the story, but they serve as a nice method of fleshing out the game’s narrative by piecing together the history of the events that unfold. I’ll be the first to tell you that I typically don’t enjoy going around, searching for little trinkets in games. They have to be very special for me to take time out of the story or gameplay to go get them and, for me, these journals were special. If you liked Ish’s story in The Last of Us, then you’ll probably want to collect the journal entries here. Additionally, collecting more things and talking to more people as you progress through the game will let you unlock bonuses like filters and cheats to use in future playthroughs or behind-the-scenes character art. Uncharted 4 is the most beautiful Uncharted game yet. The environments are filled with life like whales jumping from the water in the distance to little monkeys in the multiplayer mode, playing around in all the carnage. I couldn’t begin to tell you how many times I just stopped to smell the metaphorical roses.